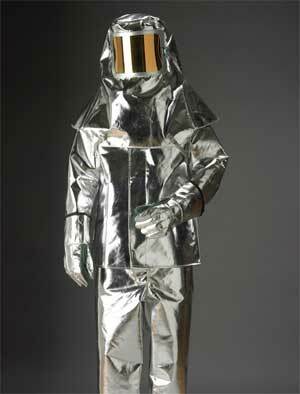 Fire entry suit is specially designed for complete protection from fire. Fire entry suits are generally made up 8 layers of insulation In this case boots, soles and hoods are also completely insulated. We manufacture fire entry suits strictly adhering the standards of ISO 9001. Here fire fighter while performing his duty may come in contact with fires where temperature can be more than 2000 ° F. sometimes.